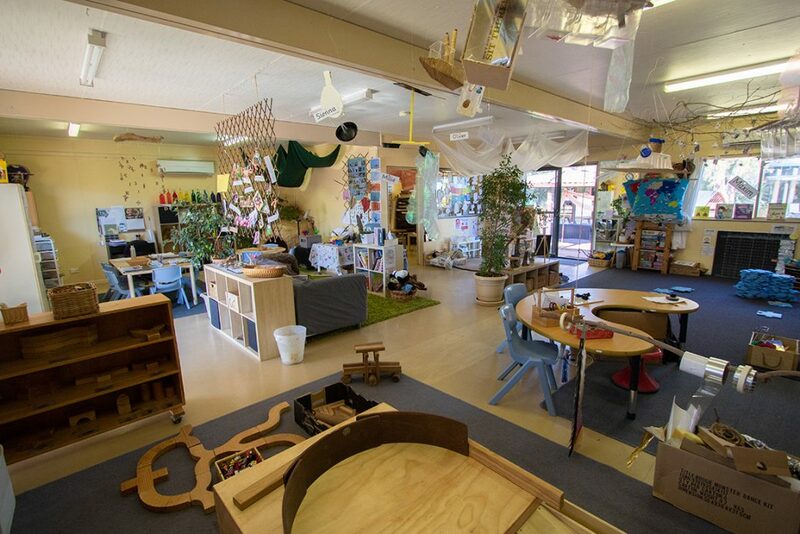 Our learning environments strive to create a safe space for children to grow and learn. A calm space, familiar yet new, challenging yet supportive, varied, flexible, appropriate and dynamic. 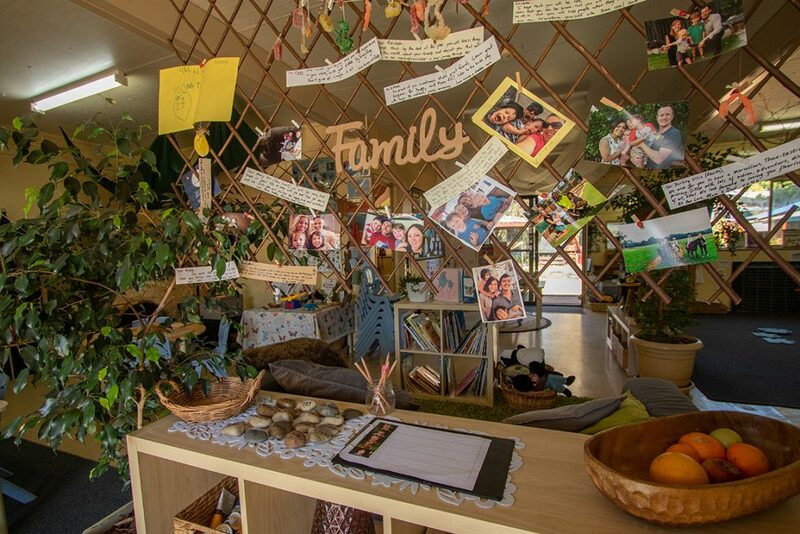 A community space which says 'I see you, I see us and together we will grow'. The acknowledgement of the different phases of life and learning, by the arrangement of the campus is as if the children are going on a journey from the Early Childhood learning environments, to the middle childhood environments of primary to the environments needed as the students grow through adolescence to young adulthood. 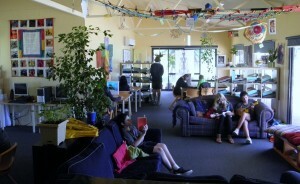 There is a path which connects all three learning environments and all three have a significant shared space which encourages a community relationship between the students, staff and families. 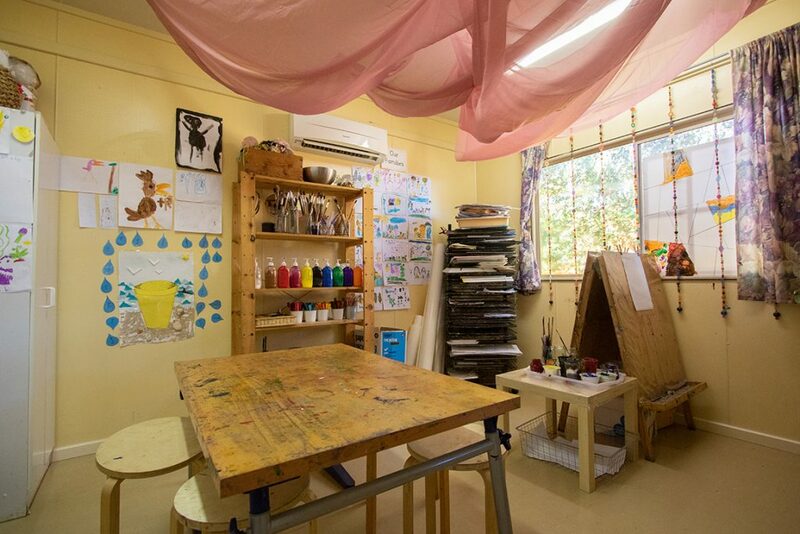 The thoughtful layout of our classrooms provides children with attractive spaces to inspire them, functional spaces in which to work together, and multipurpose areas that can be tailored to the needs of the students. Classrooms are reimagined several times a year always with the goal of supporting the learning that will take place there. 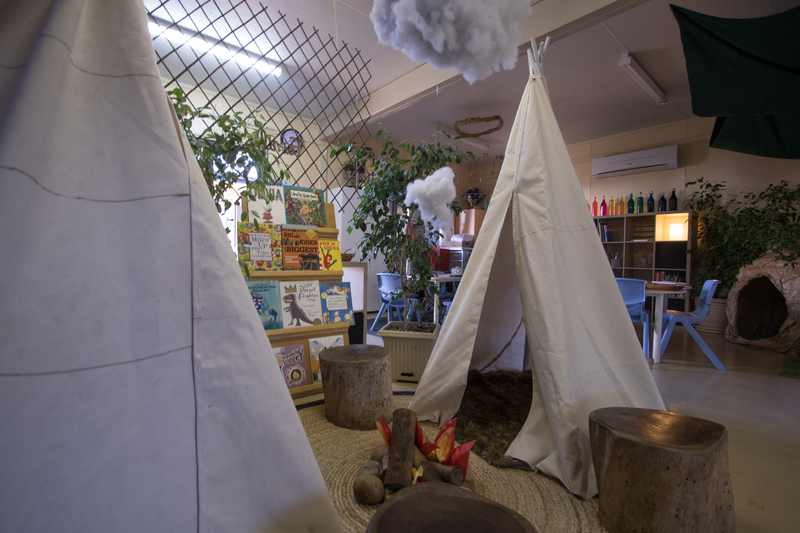 From plants and natural materials being used in the classroom to having outdoor classrooms (Wildspaces), our engagement with community spaces all honour the powerful learning that happens when we venture outside. All classes spend days at a time in the school’s Wildspaces playing in water and mud, climbing trees and getting up close to local flora and fauna. One of the great joys is in the building of huts and forming complex communities with currency, collaboration and conflict resolution. Our kitchen garden provides herbs and produce for cooking, often over an open fire, and our resident chickens give us fresh eggs and company. 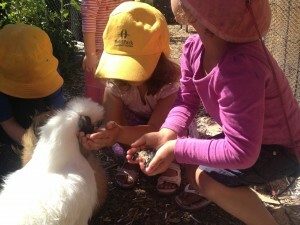 We strive to engage the students in the adoption of sustainable and healthy life choices. Technology is infused into our environments to help us to understand our world and as a tool to communicate with those around us. 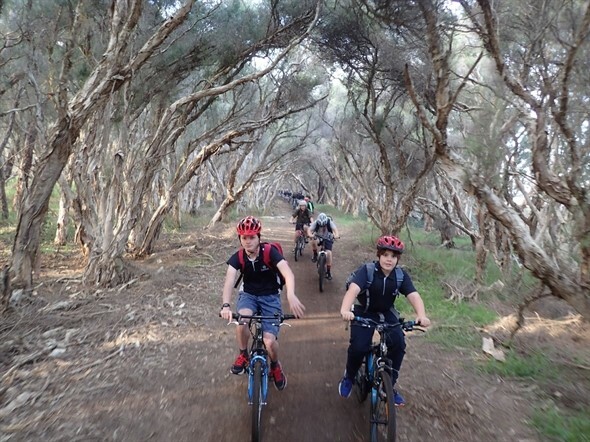 Middle School and College Students take in their environment as they cycle around Herdsman Lake. 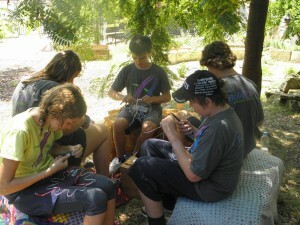 Our virtual environment of EDUCA (on-line learning stories) moves outside the physical school campus, sharing and communicating with the school community learning encounters which happen everyday. 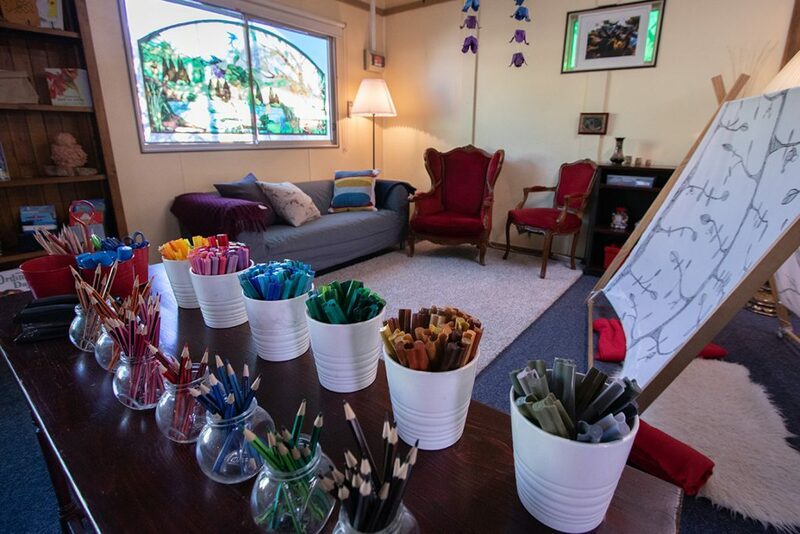 Thus our dynamic learning environments are designed to support the students by providing a calm, comfortable and challenging places for them to grow into citizens of the world. For a closer look; why not visit our “Virtual Tour Page“?